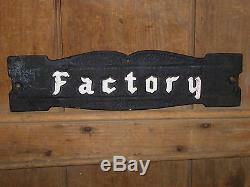 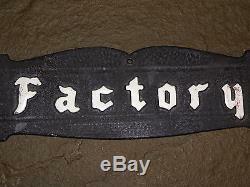 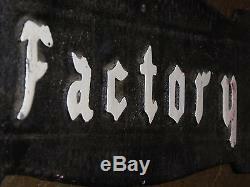 A RARE OLD ORIGINAL''FACTORY'' CAST METAL INDUSTRIAL TRADE SIGN FROM THE 1940s / 50s. 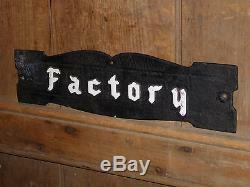 It is in excellent original condition for its age. 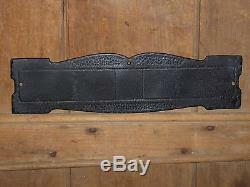 Measures 16 1/2'' x 4 3/8''. 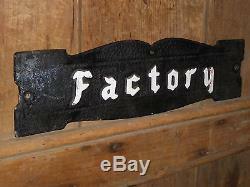 A great classic industrial era sign for display and steampunk interest. 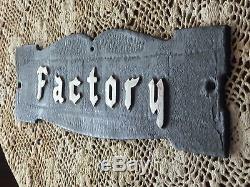 The item "RARE 1940 OLD FACTORY CAST METAL INDUSTRIAL TRADE SIGN VINTAGE ANTIQUE STEAMPUNK" is in sale since Thursday, June 9, 2016.